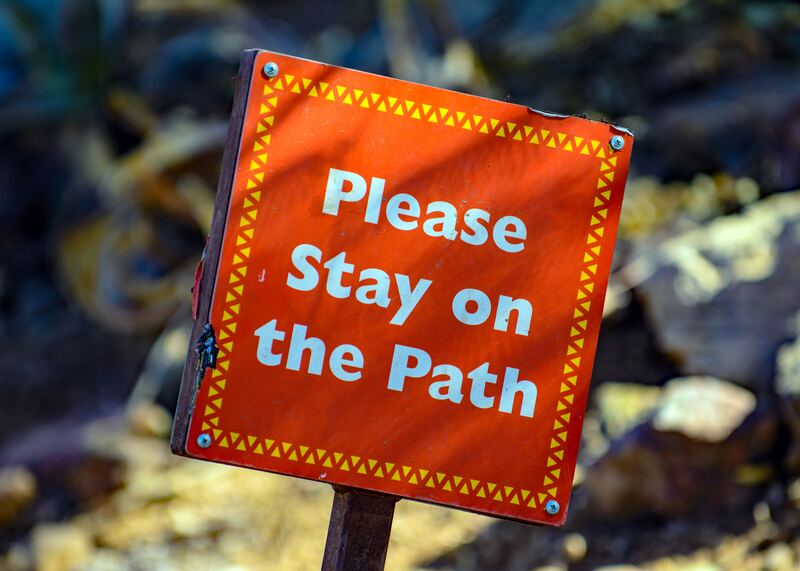 On 18 June the Australian Energy Regulator (AER) announced that it was reviewing its Compliance Procedures and Guidelines (Guidelines) to improve the effectiveness and efficiency of the reporting regime. As with all reviews conducted by the AER, stakeholder feedback is being sought. The major changes in the review of compliance procedures and guidelines are in relation to the form and content of reports. The AER has released for consultation draft amendments to the current Compliance Procedures and Guidelines together with a Notice of Draft Instrument. The current Guidelines received their last substantial review in June 2017. Since then there have been a number of changes made to the National Electricity Rules (NERL) and the National Energy Retail Rules (NERR). Submissions close on 17 July 2018. ‘These are important new protections that are critical to ensuring customers are confident to engage in the energy market. The Guideline also proposes increasing the frequency of reporting for alleged breaches of the explicit informed consent requirements. We still see poor conduct in relation to unsolicited sales with customers not providing their consent to switch retailers. These are a fundamental protection and retailers must make sure that customers fully understand what they are agreeing to’. Assess new rules arising from the AEMC rule determinations and consider whether there are any new key consumer protection provisions that need to be captured under the self-reporting framework. 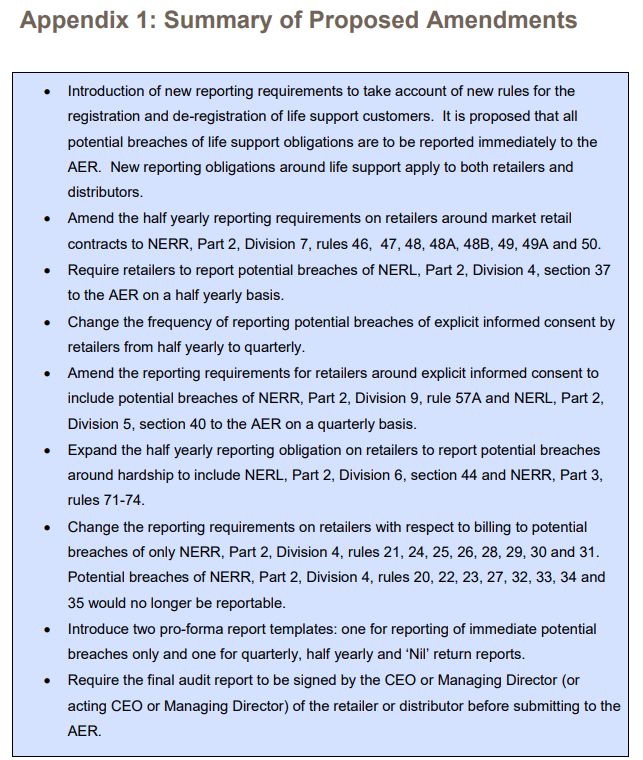 Refine the reporting framework to ensure it remains consistent with the AER’s approach to compliance and need to monitor compliance, yet recognises the impact on businesses to respond to and report on potential breaches of the NERL and NERR. Improve the quality of reports submitted so that the information provided is reliable and allows informed comparison of compliance levels over time and between businesses (see page 7 of the Notice). B.2 Pro-forma is to be used for the reporting of quarterly, half yearly and ‘Nil’ return reports only (see page 12 of the Notice). Note that the layout of the B2 Pro-forma allows for a check-box format so that businesses can check-mark the appropriate box. There are also changes proposed to the signoff requirement of the final audit report which will require the CEO or Managing Director of the retailer to sign off on the final audit report before it is submitted to the AER. There will also be some modifications to clauses 4.22 to 4.34 of Section 4 of the Guidelines on Compliance Audits. The changes will clarify the obligations on businesses when undertaking audits and also provide additional clarity around timeframes and processes. More information is available on the AER website at Compliance Procedures and Guidelines review 2018. If you’d like to speak to us about this article then please click here.